In this world, there are certain things or events which change the general perception completely. They revolutionize the way people think and create products and services which change the industry forever. Charles Babbage did it with computers, Steve Job with iPhones, Bill Gates with Windows, and Alexander Fleming with Penicillin. These are products which inspired innovations for generations to come. A similar event happened in January 2009, which took the world by storm and challenged the common perceptions about currencies. Bitcoin was the product, and Satoshi Nakamoto was its inventor. The only difference between Nakamoto and other great innovators was that no one knew who he was, from where did he come, whether he was an individual or was it a group. Nonetheless, the name Satoshi Nakamoto went on to become one of the most popular ones of the 21st Century. Over the years, several individuals claimed to be Nakamoto, but all turned out to be bluffs. Hence, the face behind the name remains a mystery. 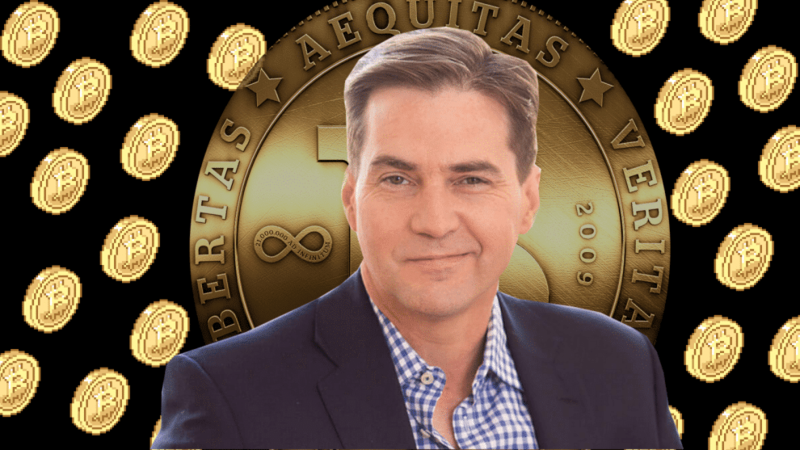 However, one of the most talked about personalities who claimed to be Nakamoto is Dr. Craig Wright, who has been firm on his claim since 2015-2016 and has time and again furnished proofs, which are countered by someone or the other. Recently, though, things have suddenly heated up as several major crypto players are raising voices to boycott Bitcoin SV, the digital token which Wright created in August 2018. Most recently, Binance Exchange CEO, Changpeng Zhao, has threatened to delist Bitcoin SV from the world’s largest cryptocurrency exchange. Zhao’s threat was a reaction to the defamation case filed against Hodlonaut by Wright. Hodlonaut is a crypto personality on social networks like Twitter and has been a prolonged critic of Craig’s claim of being Satoshi Nakamoto. It is not only Hodlonaut who has rejected the claim, but several industry experts and major crypto influencers have done the same. Zhao himself has rejected Wright’s claims. After Wright’s lawyers filed defamation, many members of the crypto fraternity came forward in support of Hodlonaut and expressed solidarity by using the hashtag #WeAreAllHodlonaut. A Crowdfunding campaign was initiated to support Hodlonaut in his legal fight against Craig Wright, and within 24 hours, over $15,000 was collected. Craig has not only demanded an open apology from Hodlonaut but has also announced of a bounty of $5,000 worth Bitcoin SV for exposing his true identity. In fact, Wright has announced that he would sue all of those who say that he is not Satoshi Nakamoto. Hodlonaut has a consistently criticized Wright on Twitter and was the initiator of the #CraigWhiteIsAFraud, #CSWFraud. Interestingly enough, technology stalwart and Tesla boss, Elon Musk has also joined the movement against Craig Wright. Other big names who have received legal notice defamation include Ethereum founder Vitalik Buterin and Peter McCormack. However, Zhao hasn’t backed off and said that his team is ready to fight a legal battle against Craig Wright if need be. Moves by Wright doesn’t seem to be going down well with the crypto community at large. This could possibly result in a boycott of Bitcoin SV, which could be devastating for the “wannabe Bitcoin” digital token, and delisting from Binance will only make matters worse.